VeloVoices: First of all, tell us about how The Northern Line came into being – how did you set it up, what is the ethos behind it? Don: My wife Sarah and I started The Northern Line as a shop in Ulverston back in October 2014. We’d bought a cottage in the Lake District back in 2003 and became more and more drawn to making the move permanent. We had been running a design and marketing business based in Milton Keynes dealing in the sports and leisure sector since 2010 and in 2014 we managed to combine our design business, by working remotely, with running a homeware, gift and art shop. VV: That was quite a change! Don: It was! The shop opened and we slowly found our way and started to build up both the art and poster work, together with establishing an online presence. We’ve since opened a second shop in Windermere and are planning a move to larger premises in Ulverston. The whole TNL range is very important to us – all the designs come from me and it’s a brand in the true sense because it is personal – it matters to deliver good quality and to get good customer feedback. One thing that has surprised us is the amount of orders we receive from around the world. 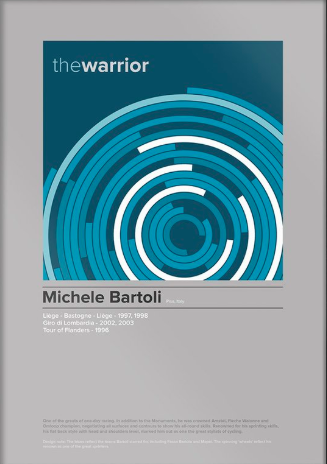 We’ve even sold a Modernist poster featuring Michele Bartoli to Mr.Bartoli himself! 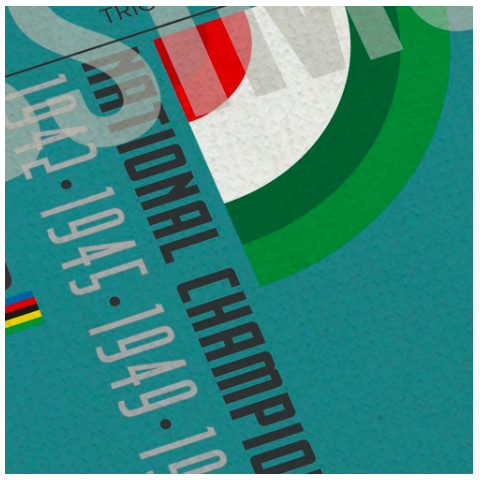 The interest in the USA in Paris-Roubaix/Monuments and Gino Bartali has been interesting. 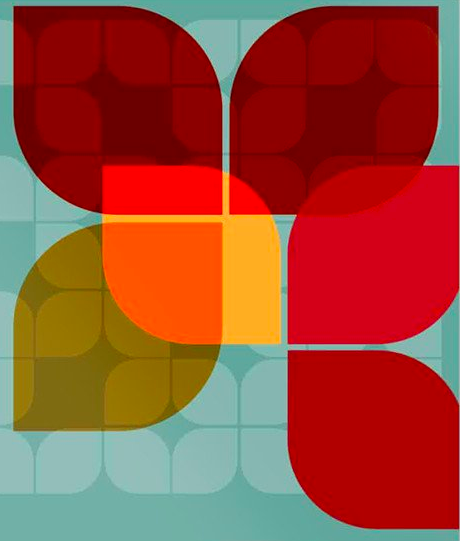 VV: I absolutely love love love the Palmares series, with its Russian Constructivist vibe. How long does it take from, say, that first glimmer of an idea to a finished set? How do you choose who to feature? 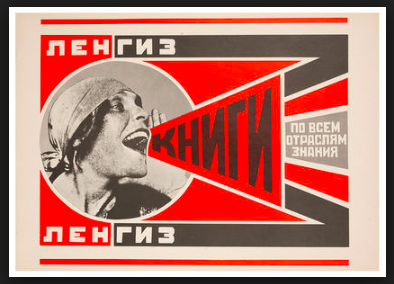 Don: One of the designers/artists I’ve always admired since I was a student was Alexander Rodchenko so I think that Bauhaus/Constructivist style has always been there for me. That vertical/horizontal effect sums up that dichotomy between stage races and one-day classics in a cyclist’s palmares. Some designs come easier than others, however. 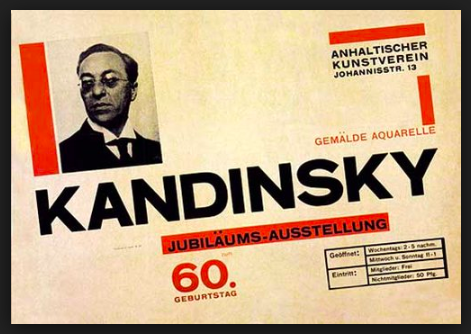 The Merckx version is an echo of a Bauhaus poster by Herbert Bayer for a Kandinsky exhibition. When I get a smell of an idea, I start collecting influences, like colour ways or typography, and bring them together. Looking for old café exteriors adverts, you can see an Italian style or French style. A computer affords you so many ways of creating effects but it still won’t give you the idea. Choosing who to feature on The Palmares is probably a sub-conscious list of the favourites or those that just evoke an emotion for the sport. Once we (the business) see a clear pattern that the posters are popular then more come to the fore. 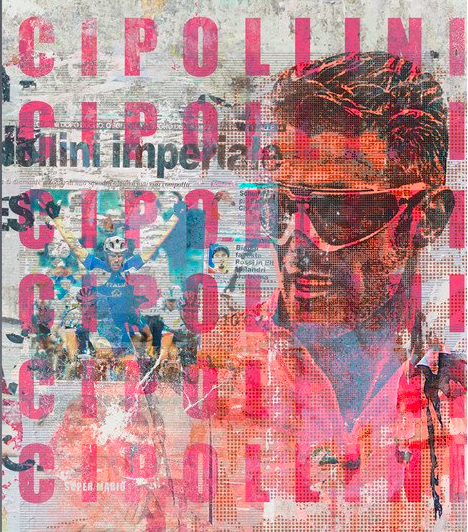 Cipollini and Boonen will likely be on their way! I desperately want to see that range as a collection on a wall somewhere or other! Trying to distinguish The Monuments is something personally I didn’t find very easy. The Modernist approach to them does have a rationale. I couldn’t just lay a circle over a square and say ‘there you go – De Ronde’! 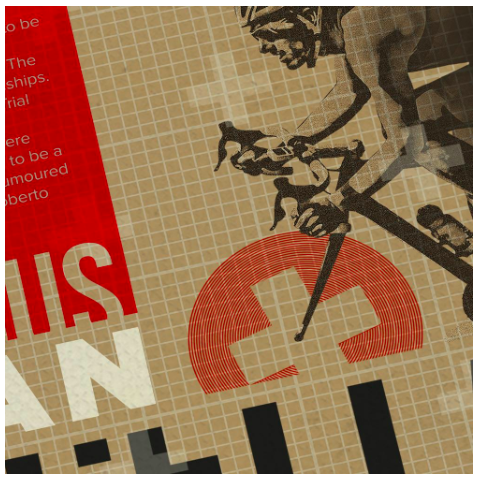 With The Legends series it was a bit like trying to take grafitti art into graphic art and trying to achieve the suggestion of a cyclist’s profile rather than the whole thing – which would then be nothing more than a poor man’s photograph. VV: Do you have a particular favourite print or series? 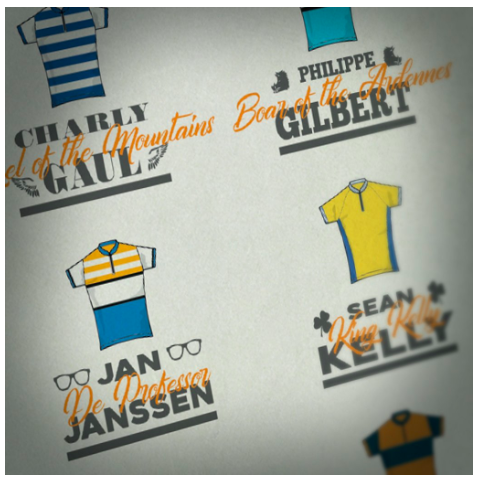 Don: I’d like to see a collection of Flandrians from our Legends series in some spit and sawdust bar in Liege. I think as a designer it would have to be The Palmares range. 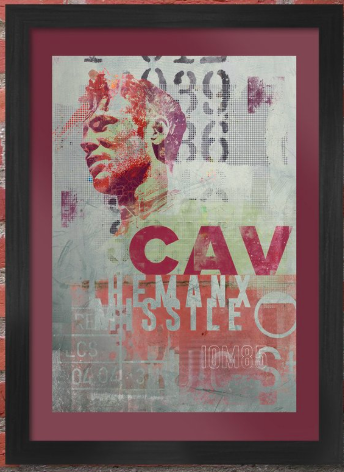 We get people sending pictures of the posters they’ve bought and hung on the wall and it’s just brilliant that they like them and that we share a love for them – that honestly makes me very proud. VV: What are your best-selling prints? 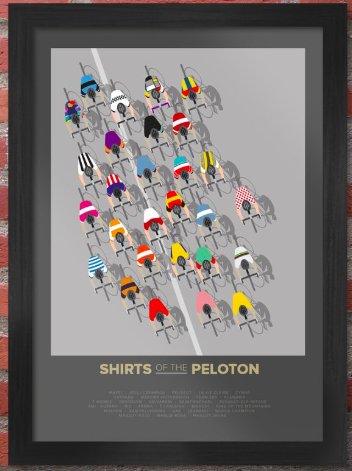 Don: ‘Shirts of the Peloton’ which is a collection of the iconic shirts as a stylised overhead shot of a peloton – with La Vie Claire, Mapei, Bic, Molteni – all those styles that are embedded in history. There’s a sense of responsibility, like making sure the colour order on the sleeve of a St. Raphael is right! 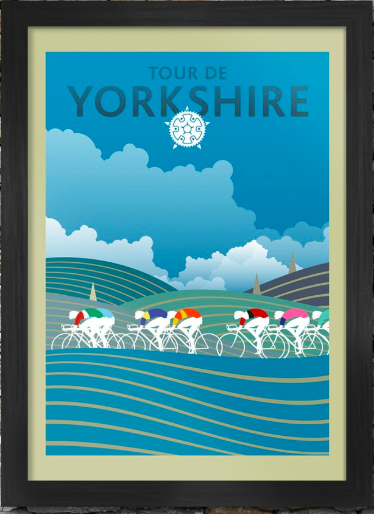 The ‘Tour de Yorkshire’ sells well and Paris Roubaix. 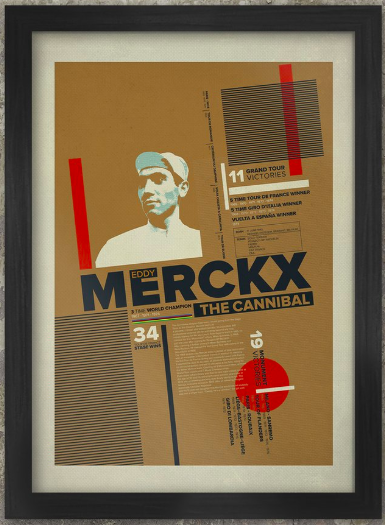 The Merckx mug is a great seller for us as the Coppi. We also do commissions – if it’s a one-off, it’s a separate price, but if we feel we can sell them online and the customer doesn’t mind, the price is per the web. VV: Thanks so much for talking to us, Don, and keep that great work coming! Visit The Northern Line to see the full range and order online (and don’t forget VV20 for 20% off your order! ); follow TNL on Facebook, Instagram, and Twitter. TNL also sell a range on Etsy. If you’re in the Lake District, make sure to pop into their shops: 4 Crescent Road, Windermere and 16-18 Fountain Street, Ulverston (until 7 June, when they’ll be at 7 Market Place, Ulverston). Previous PostHow the hell … are Italian races better than all the others? 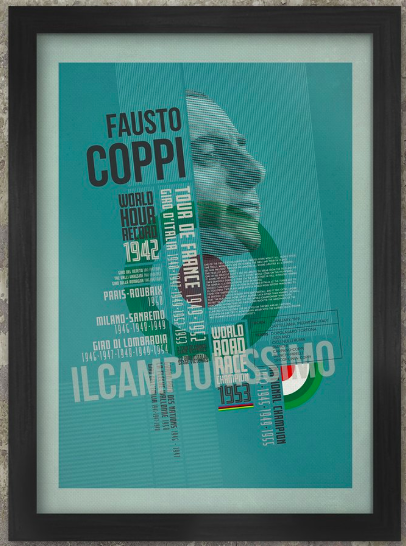 Next PostGiro 2018 Competition: Win a Gino Bartali Palmares poster!